Thursday evening’s reception and networking event at the Eli and Edythe Broad Art Museum will showcase a one-of-a-kind art collection, exhibiting pieces of art from around the world. The Broad Art Museum is dedicated to exploring contemporary and historical cultures while incorporating all forms of art including paintings, photos, installments and videos. The building itself, designed by the late Pritzker Prize-winning architect Zaha Hadid, is only a glimpse into the dynamic and captivating experience inside. 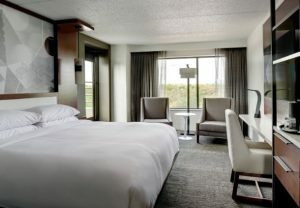 The Marriott at University Place will be the site location for our conference on Friday. 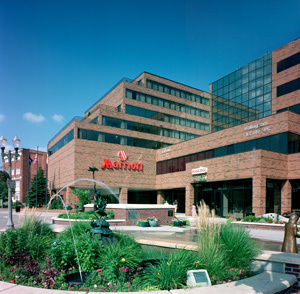 Centrally located, the Marriott is just one block from Michigan State University’s campus and within walking distance of many shops and restaurants located in downtown East Lansing. Michigan Women in Finance is once again partnering with the Michigan Finance Authority (MFA). The MFA will be holding a regular open board meeting on Thursday afternoon in the Speakers Library at the State Capitol. The agenda may include financing approvals before the board for hospitals, school districts, and environmental programs, among others. Capitol tours will be available following the meeting. The Michigan Finance Authority meeting will be held in the Speakers Library, which is on the 2nd floor of the Michigan State Capitol and will begin at 2:00 p.m. Following the meeting, Capitol tours will be available. Parking. Limited metered parking is available on the streets surrounding the Capitol at a rate of $1.25 per hour. Please note that meters will only accept coins. In addition, there are various parking ramps in Downtown Lansing that will accept cash or credit card, but may cost up to $2.00 an hour. Use the following links to view maps of Public Parking Near the Capitol and Complete Public Parking options. The Thursday evening reception (6:00 p.m. – 9:00 p.m.) registration and name tag pick up will be held at the Eli and Edythe Broad Art Museum. Parking. Parking is available at various lots on Michigan State University’s campus. The closest lot, the Grand River Parking Structure, has free parking from 6:00 p.m. through 2:00 a.m. We do not recommend parking your car overnight in the Grand River Parking Structure. No transportation service to and from the Museum will be available due to the Museum’s close proximity to the Marriott and various parking options. Use the following link to view a map of Public Parking MSU Campus & City of East Lansing. Registration will be open starting at 7:45 a.m. in front of the University Ballroom at the Marriott. Breakfast will also start at 7:45 a.m. in the University Ballroom. If you requested a vegetarian, gluten-free or vegan lunch, please ensure that you have a ticket attached to your name tag. Your server will collect the ticket at lunch time. Parking. The parking garage beneath the Marriott will be closed due to construction, but the City of East Lansing offers various parking options. The most convenient parking garage will be the Charles Street Garage, which is adjacent to the Marriott and has a sky-walk to the Marriott’s second floor. The Charles Street Garage charges a fee of $1.50 per hour, $15.00 a day, or an overnight flat rate of $12.00 for hotel guests. Use the following link to view a 2 page information brochure for additional parking options Marriott Garage City of East Lansing Parking. We are planning an exciting conference this year, with events in the East Lansing area. 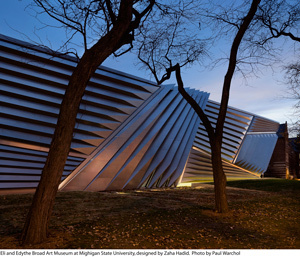 Thursday evening we will gather on the campus of Michigan State University at the Eli and Edythe Broad Art Museum to enjoy the comradery of old and new friends and experience the stunning art displays and contemporary design elements that make the Broad Museum so unique. We look forward to continuing the momentum on Friday at the Marriott at University Place in East Lansing. Our theme this year is “Women in Michigan – Shaping the Future”, and our speakers include leaders who have excelled in both the public and private sector who will share their inspiring stories with us. In addition to the main conference events, Michigan Women in Finance invites you to attend the regular meeting of the Michigan Finance Authority on Thursday afternoon, which will be held in the Speakers Library on the 2nd floor of the State Capitol Building in Lansing followed by guided tours to showcase the fine craftsmanship and history of the Michigan’s State Capitol. Michigan Women in Finance looks forward to sharing these two days of networking and professional development with you. Don’t miss out on the experience – come to this year’s conference in East Lansing! 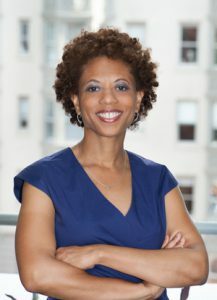 Melody Barnes is a Co-Founder and Principal of MBSquared Solutions LLC, a domestic strategy firm, and a senior fellow in presidential studies at the University of Virginia’s Miller Center. Ms. Barnes serves on the Board of Directors of Ventas, Inc., Booz Allen Hamilton Holding Corporation; the Marguerite Casey Foundation and Year Up. She also chairs the Aspen Institute Forum for Community Solutions and Opportunity Youth Incentive Fund. Ms. Barnes was Assistant to the President and Director of the White House Domestic Policy Council from January 2009 until January 2012. Until July 2008, she was the Executive Vice President for Policy at the Center for American Progress, a progressive research institute and think tank. From December 1995 until March 2003, Ms. Barnes worked for Senator Edward M. Kennedy on the Senate Judiciary Committee; she served as his chief counsel from 1998 until she left the Committee in 2003. Ms. Barnes received her bachelor’s degree with honors from the University of North Carolina at Chapel Hill and received her law degree from the University of Michigan. Kelly is Lansing’s best-known and most-accomplished communications expert, evident by the results of all the MIRS/EPIC-MRA State Capitol Surveys. The poll of hundreds of Capital City insiders consistently ranks Kelly as the most effective public relations professional around. Though her leadership, Truscott Rossman has expanded from one office in Lansing and a dozen employees to three statewide offices and a team of nearly 30. This rapid growth has helped Truscott Rossman to be named one of Michigan’s 50 Companies to Watch in 2015. Nothing lights Kelly’s fire like a client challenge — and she’s at her absolute best (just watch her eyes light up!) when she’s helping clients tackle their thorniest issues and situations. Kelly pioneered issue management in Lansing and continues to pursue cutting edge work in her field. She’s a certified crisis communicator, a nationally accredited public relations counselor (APR), and a member of the Public Relations Society of America’s (PRSA) distinguished College of Fellows — one of only three in Michigan. She’s also a great motivational speaker who can really rock an audience with her candor, wit and wisdom. Kelly is deeply committed to community service and lives by the adage “the more you get, the more you give.” She serves on several boards, including the Michigan Political Leadership Program, the Citizens Research Council, Olivet College Board of Trustees, SBAM PAC Board and the Nature Conservancy. Although she’s been honored with many awards as a PR professional and woman business owner, nothing thrills her more than hanging out with her four kids and her beloved husband, Officer Dave. Eleni is a presence and presentation expert, and the Chief Transformational Officer of The Eleni Group, now in it’s second decade. She uses performance techniques learned over twenty years as a professional actress and award-winning, nationally touring singer/songwriter to help executives be relaxed, real and relatable when they give presentations. 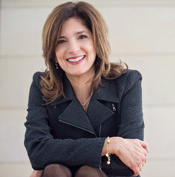 When she’s not coaching individuals or facilitating trainings at companies like General Motors, Plante-Moran, and Kubota Tractors, Eleni practices what she preaches, empowering people to perform at their peak with her signature keynote presentations at conferences nationwide. A double major in Theatre and Semiotics from Brown University, Eleni is a past president of the National Speakers Association of Michigan. She’s sung the national anthem at Shea Stadium for three (winning) Mets games, and has produced four acclaimed CDs of her original songs. Her songs have been featured in the film Dispossessed, and danced to by America’s Got Talent semi-finalist Beth Ann Robinson. Her book, Touch the Sky: Find Your Voice, Speak Your Truth, Make Your Mark, was a gold medal winner of the 2014 Global e-Book Awards. She lives happily with her husband, and two constantly shedding cats, in Ann Arbor, Michigan. Paula Cunningham is currently the State Director for AARP Michigan, which has 1.4 million members in Michigan. 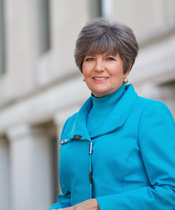 Paula served as the Chief Executive Officer and President of Capitol National Bank from October 2006 to June 2015. Prior to leading Capitol National Bank, Paula served six years as President of Lansing Community College (LCC), where LCC’s Administration Building was named in her honor and is the only building in downtown Lansing named after a female. During her 25 years at LCC, Paula also served in a variety of executive positions including Vice President of Planning and Community Relations, Director of Professional Development, Director of Marketing and Communication, and Dean of Business. Paula is the founder of L3 Entrepreneurial Academy in Lansing. She also founded the Professional Development Corporation (PDC), which provided training opportunities to socially and economically disadvantaged women. Paula is the past chairperson of the Lansing Regional Chamber of Commerce and was the first minority female to serve in this position. 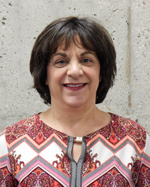 Paula also serves on the Boards and Executive Committees of the McLaren Health Systems- Lansing, Michigan Nonprofit Association, Davenport University, MiQuest Board and Grace Foundation. In addition, she serves on the Mayor’s Financial Health Team, Team Lansing Foundation and the Airport Advisory Committee. Paula obtained a Master’s Degree in Labor and Industrial Relations and a Bachelor of Arts in Journalism, both from Michigan State University. She also received an honorary doctorate degree from Alma College. Paula has been inducted into the Michigan Women’s Hall of Fame, and honored through receiving the prestigious Athena Award and the Michigan Congressional Black Caucus Trailblazer Award. 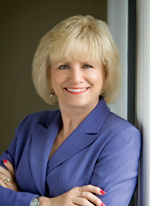 Margaret was elected Treasurer of Waterford Township in 2006 where she is responsible for payroll and benefits, administrator of two defined benefit pension plans, a retiree health care trust, and a defined contribution plan, and a member of the Board of Trustees, where she oversees a budget of over $70,000,000. Margaret earned the designation of Certified Public Funds Investment Manager (CPFIM), Certified Public Finance Administrator (CPFA), and Michigan Certified Professional Treasurer (MiCPT). Margaret is past president of the Oakland County Treasurers Association, past president of the Waterford Area Chamber of Commerce and has served on the Board of Directors for the APTUS&C, where she earned a service award. She is a graduate and member of the Michigan Township Association, where she earned the Township Governance Academy Credential and also a graduate of the Michigan Municipal Treasurers Institute. Margaret is currently the vice president on the Board of Directors for the Michigan Municipal Treasurers Association, and a member of the Michigan Government Finance Officers Association. Sally Durfee is the Chief of Staff for the Michigan Department of Treasury. Sally has been working on operational excellence and IT project improvements. Since July 2015, 25 major process improvement projects have been undertaken, with 87% of those having been implemented. Before joining Treasury, Sally served as the Michigan House Deputy Director of Legislative Affairs for Governor Rick Snyder, and had been a Michigan Legislative employee for 30 years. During her tenure she worked on several key legislative packages – Great Lakes Compact and Water Withdrawal Act; Safe Delivery of Newborns Act; Re-write of Property Tax Delinquent Act and Parks Passport program. Karen Farr, CPA joined St. Clair County Community Mental Health Authority (SCCCMHA) in February 2013 as the Director of Finance. In this role, Karen provides direction, administration and oversight of the financial operations for SCCCMHA. Prior to that, Karen worked in public accounting for 26 years, with the last six years in her own firm in Port Huron, Michigan. In addition to her public accounting career, Karen served a number of years as an adjunct faculty member at Baker College of Port Huron. Karen has also been involved in community service having served as the Board Treasurer of the Port Huron Rotary Club and Port Huron Rotary Charitable Foundation for 10 years, chair of the Board of Directors for Catholic Social Services of St. Clair County, board member of the Marysville Chamber of Commerce, past president of the National Association of Career Women, member of the Port Huron Hospital Foundation Business & Professional Committee and member of the Girls Scouts Finance Committee. Julie Omer joined Owosso Public Schools in April of 2001, which afforded her the opportunity to combine her passion for children with her financial/accounting profession. 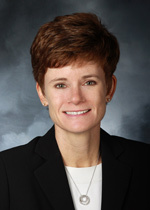 Prior to joining the school district, Julie was the Director of Accounting/Investment at Memorial Healthcare Center, Controller at the Walnut Hills Country Club while obtaining a master’s in business administration in finance from Michigan State University and worked as an auditor at Ernst and Young while obtaining her CPA licensure. In addition, Julie worked at Tans and McAfee, CPAs while attending Western Michigan University to earn her bachelor’s in business administration. Julie is actively involved in her community and has served as treasurer of both the Shiawassee Council for Child Abuse Prevention and the Shiawassee-Owosso Kiwanis Club. She is also a member of the 100 Woman Who Care of the Greater Owosso Area. 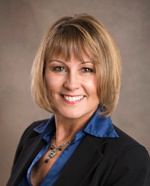 Professionally, she is a member of the Michigan School Business Officials and sits on the MSBO Professional Development Committee, president of the Central Michigan School Business Officials, and board member of the Michigan CLASS Investment Pool. Shannon Price serves as the Deputy Director for the Student Financial Services Bureau within the Michigan Department of Treasury’s Student Scholarships and Grants Division. In her role as Deputy Director she is responsible for the policies and operational functions of the aid programs within the division. Prior to her current role, she served as Coordinator of Outreach Services for the division and as Director of Student Services for Baker College. She has a bachelor’s degree from Ferris State University and a master’s degree from Baker College. 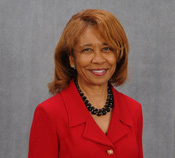 Maria Woodruff-Wright is the vice president of operations & CFO of the Skillman Foundation. Previously, she served the Ruth Mott Foundation as the director of finance and administration. Maria is a native of Detroit and graduated from Cass Technical High School. She moved to the Flint area in 1997 to serve as general manager in her family’s Ford and Lincoln Mercury franchises in Clio and Saginaw, Michigan. In 2000, Maria became president and dealer principal of Expressway Ford, Inc. In 2004, she received the Ford Minority Dealer Association Female Entrepreneur of the year award from Essence Magazine. In addition to working in the automotive industry, Maria has accounting, finance, marketing, and operations experience. She serves on the Board of Directors of the Boys and Girls Club of Greater Flint. Maria holds a master’s degree in business administration from the University of Michigan–Ross School of Business in Ann Arbor, and a bachelor’s degree in computer science from Northwestern University in Evanston, Illinois. She has also earned Series 7 and 66 investment licenses. Be sure to mention that you are with Michigan Women in Finance to receive the group rate. *Reservations must be made by April 15, 2017 in order to receive the group rate of $142.00, plus any applicable state and local taxes. Look who won a free stay at the Marriott at University Place. Congratulations to our Early Bird Prize winner, Mary Burton, Superior Township. Mary registered by March 31st and her name was drawn from all of our eligible registrants to win a one night room credit while she attends our 2017 Annual Conference.